Uproar after PM's son criticizes Deputy Attorney General in a post on social media. 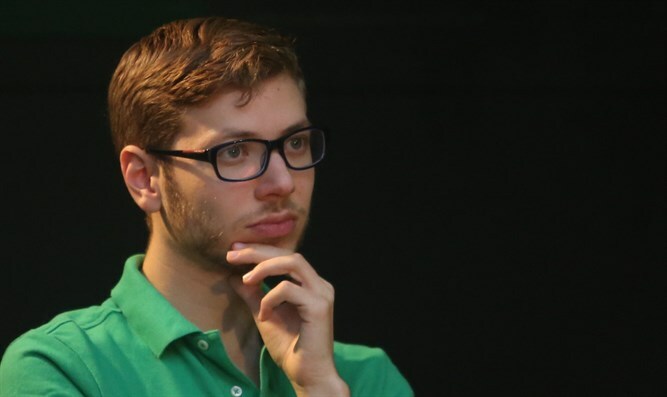 Yair Netanyahu, son of Prime Minister Binyamin Netanyahu, caused a firestorm on Thursday when he uploaded a poster to his Facebook account which simulates an advertisement for a movie and includes criticism of Deputy Attorney General Dina Zilber. In the poster, Zilber is portrayed as a central character in a horror film called “The Clerk” and she is accused of acting with the support of the leftist New Israel Fund. The poster also states that the director of the film is former Chief Justice Aharon Barak and the script includes “generic leftist clichés”. Earlier this week, Justice Minister Ayelet Shaked demanded that Zilber no longer be permitted to represent the government in the Knesset after she spoke out against government bills promoted by the Ministry of Justice and the Ministry of Culture and Sport, including the Cultural Loyalty Law being promoted by Culture and Sport Minister Miri Regev. Shaked’s demand was backed by the right and blasted by the left. Yair Netanyahu said in response to the uproar caused by the poster that "the time has come for the leftist media to get used to the fact that freedom of speech is not a right reserved only for themselves, but for every citizen in Israel, even God forbid, to right-wingers." The prime minister’s son has long had an adversarial relationship with the Israeli media. Last month, he came under fire after penning a scathing Facebook post calling Israeli media personality Ofira Assayag a “crude beast”. Several weeks earlier, Yair called veteran journalist Amnon Abramovich a "garbage can, stupid, and a Soviet propagandist...the nation of Israel hates him." After being criticized by other media figures in wake of his Abramovich remarks, Netanyahu wrote on Facebook the journalist and the Israeli media as a whole "have been butchering my father's personality, embarrassing him, belittling him, falsely accusing him, and drinking his blood with a straw for the past thirty years."